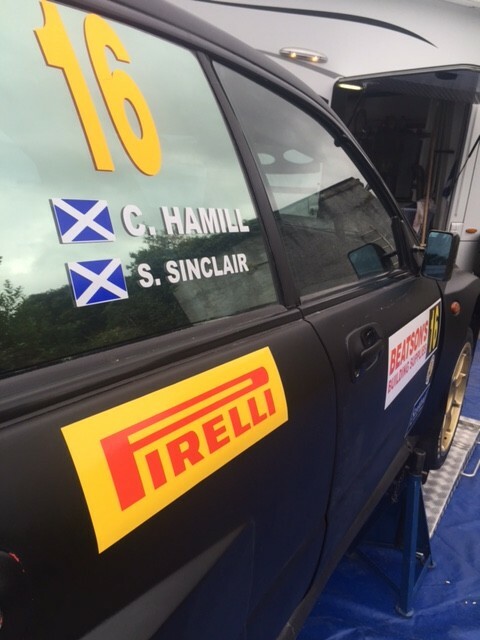 Dom Buckley Motorsport headed to the Isle of Mull with Shaun Sinclair for his first ever event in a World Rally Car. 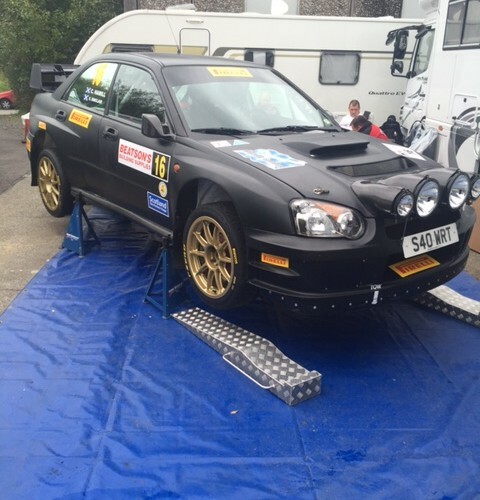 Shaun has been a very quick driver in the Scottish Championship for the last few years and has bought a Subaru S9 WRC for a step up in machinery. A test day for the rally was held at The Rest and be Thankful the Sunday previous to the rally. With it being a completely new car to him and co-driver Chris Hamill used the day to break themselves in gently. A few slow speed runs were had before gradually building the speed along with some confidence. By the middle of the afternoon the Oban pair were more than happy with how the day had progressed and could now begin to look forward to the event itself. The rally started on the Friday night with over 50 miles of stages in the dark. What a way to start life in a WRC. Not only was it his first time in a World Rally Car but it was also a left hand drive. So much was new but you wouldn’t think it. On the first stage Shaun set 10th fastest time. One more stage then a service at the bottom of the island in Craignure. Shaun felt he was having a really good run and then the Power Steering failed in the middle of the stage. He managed to get to the end of the stage and still set 10th fastest time which moved him up to 8th overall. The team set about the ex Petter Solberg Impreza and found some damage to the steering rack. They worked tirelessly to repair the hole and stop the leak. Right at the last minute they stopped the leak but the power steering was still not working. The Sinclair Plant owner set off on his adventure in the night which would include a mammoth 21 mile stage. The final stage finished at around 0100hrs and Shaun was feeling the effects physically after fighting the steering wheel for most of the night. A tremendous effort though and he set very respectable times through those last 3 stages to finish in 15th overall overnight. After checking over the rest of the car and fitting a spare power steering pump the car was back to its best. 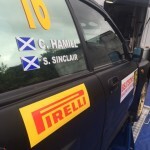 Driver and co-driver set off down to Craignure for the re-start on Saturday lunchtime and set 8th fastest time through the first 2 mile stage and had a good feeling. Unfortunately that would be as far as they would go as a tragic accident on Stage 7 which ended in the fatality of car number 2’s co-driver, Andrew Mort. The driver, John MacCrone was injured in the accident and was airlifted to Glasgow hospital to receive treatment. The organisers took no time in deciding that the rally would be cancelled. All of Dom Buckley Motorsport send our sincere condolences to all those who are involved. We would also like to wish John a full and speedy recovery.